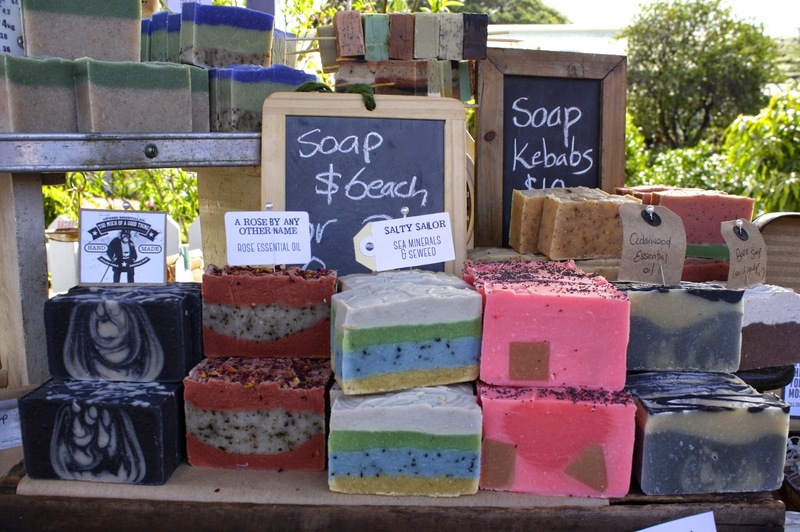 I had a lot of fun on Saturday when I headed off the to ever-so-crafty Olive Tree Market, located in The Junction, NSW. As I got chatting to different stall holders I realised just how much The Olive Tree Markets have opened up this crafty homemade scene for Newcastle. The markets have given so many of them an opportunity to sell their uniquely made treasures. 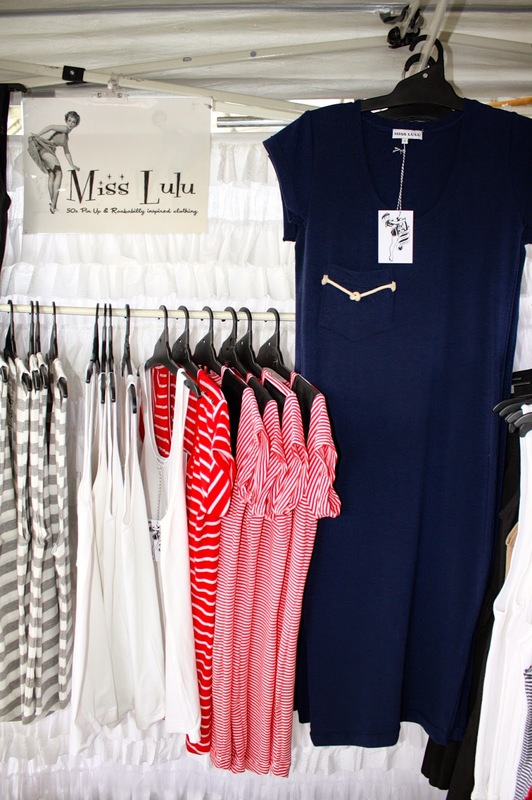 I started by chatting to Brianna of Miss Lulu. She started making very sweet 1950's inspired clothing in 2007 for her little shop. The OTM was a launch point for Miss Lulu. You may remember seeing her elsewhere when she had a pop-up shop in the old DJ's building for Renew Newcastle. 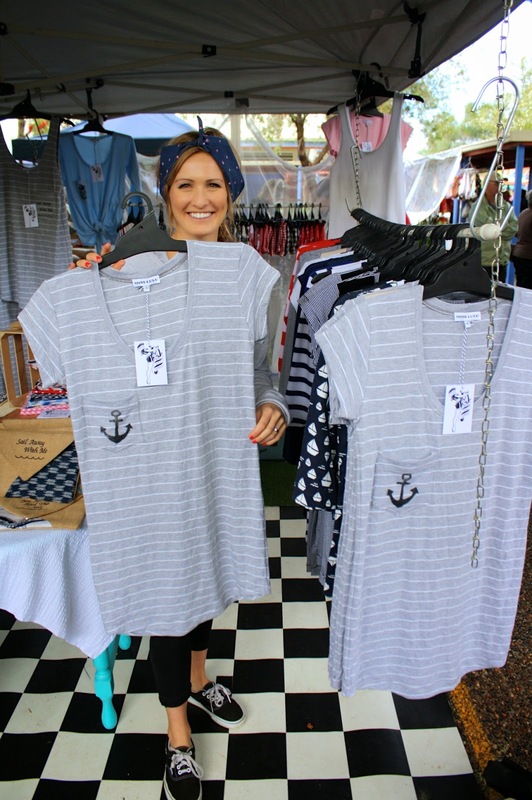 Bri is ready to set sail with her nautical inspired Spring & Summer Collection, aptly named "Sail Away With Me." One of Bri's red tops above got me through many months of my pregnancy, and I can still wear it now. Sugar Jones was started at the OTM 4 years ago by Anita with a little table of decorated biscuits in front of her sister's fabric printing stall, Sketch & Jones. If you were to ask her when her baking passion really started she'd tell you it came from working in the kitchen at a very young age, in a big family, with a mother who was a terrible cook. "Love you mum." The 8 year old Anita won awards in the Newcastle and Maitland Show. Anita put down her camera after being a press photographer for 25 years to focus her creative efforts on baking for us at Sugar Jones. 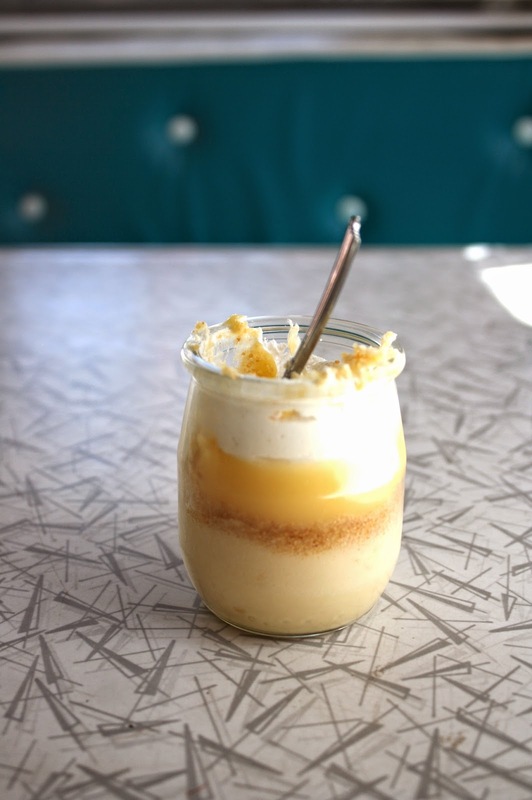 I've been sucked in by the homemade sweetness of Sugar Jones before, and this time it was the delightful cheesecake jar that tempted my taste buds. 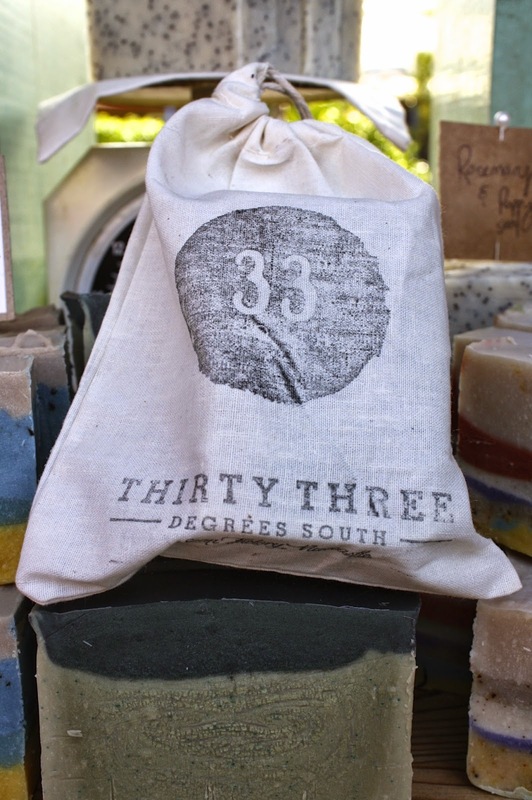 It was hard to go past Thirty Three Degrees South - Newcastle Soap Factory. 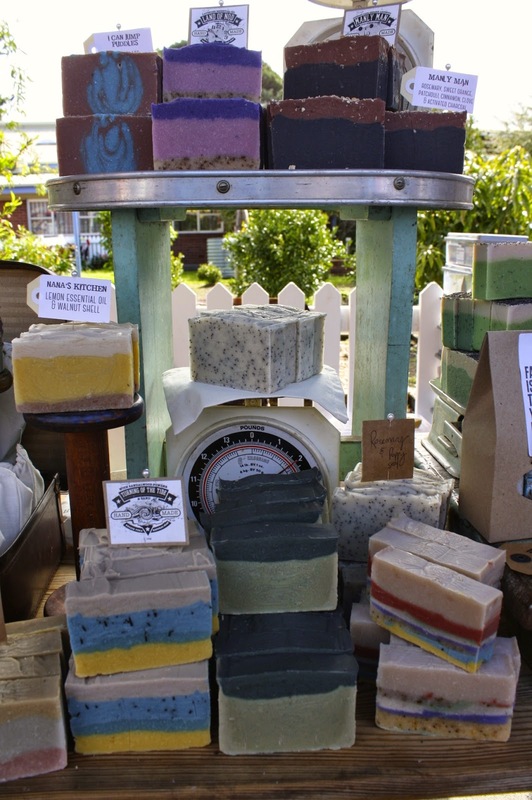 Their soaps are so full of colour and their smell is delicious. If I were a kid again I could have tricked my mind into thinking I was sucking on something yummy if mum was washing my mouth out with this soap. That's how delectable they look. 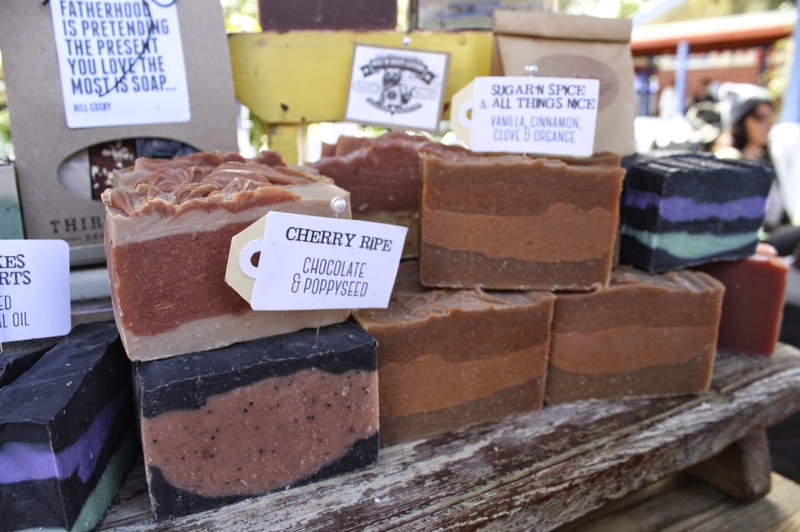 Juanita started making soap around 5 years ago, and she's another one who started up with the OTM. Her range is made of natural ingredients and 100% pure essential oils. I brought two of her soaps home with me and laid them on the dining room table. They filled the room as if I had lit a scented candle. Last night I tried the Sugar and Spice and All Things Nice soap and then sat watching TV and enjoying the scent of myself. Tonight I will be enjoying the mint soap and can't wait for shower time! 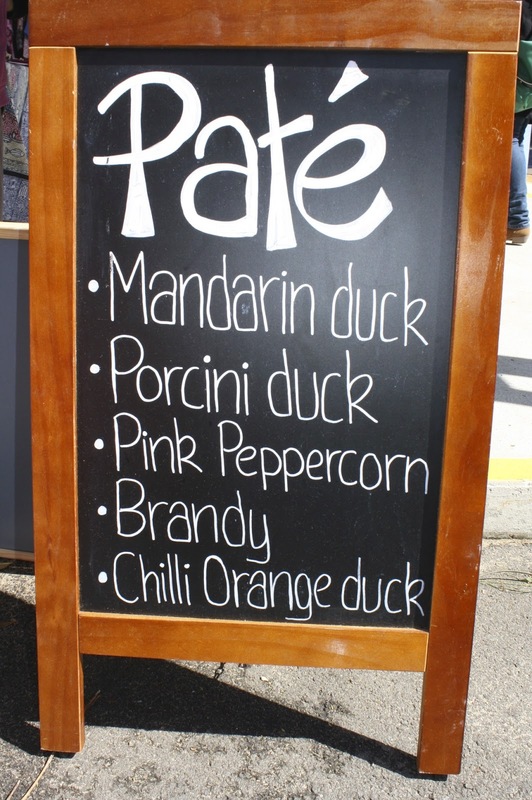 Walking by Snow Black Gourmet Food I was handed a sample of Priscilla Scanlon's Mandarin Pate. Myself and my husband have not been paté lovers in the past but we will be now. The quality was incredible and that something extra that we tasted was the mandarin liqueur that Pricilla has the Hunter Distillery make specially for her. She makes everything fresh the day before and sources all local ingredients. She couldn't do all of this without the loving help of her daughter Madison and mother-in-law Gillian. This is quite the change of pace for the woman who worked in Finance for 20 years. 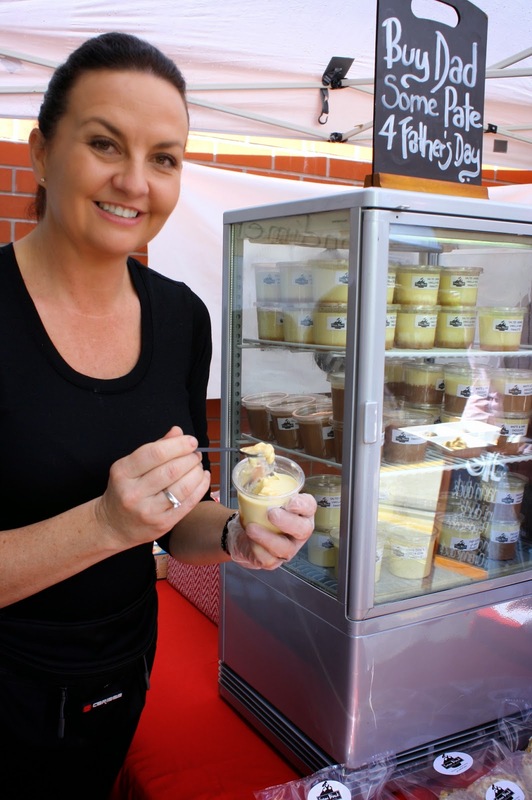 We couldn't walk away with out trying her Salted Caramel Panna Cotta. It was so smooth, and not at all watery. We'll definetly be back. Next I met Kristie from the Big Toe Shoe Company. 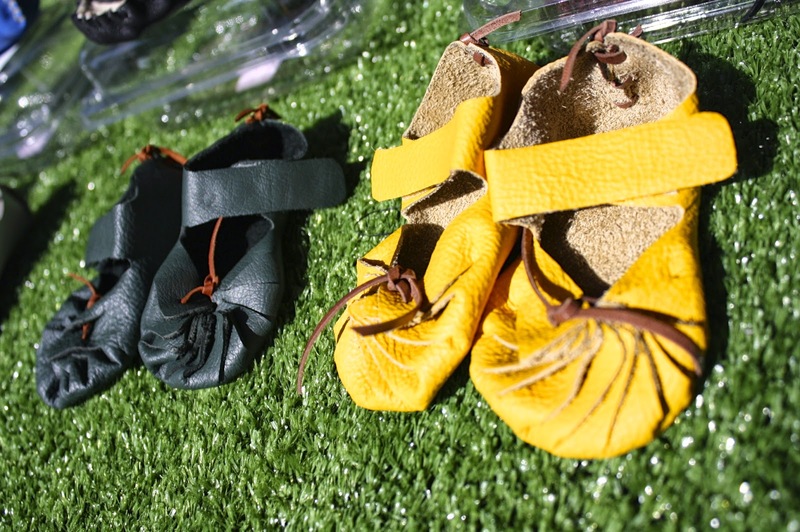 This wonderful single mum learned shoe making from Sydney Tafe, and now crafts these beautiful soft leather baby shoes; she cuts the pattern, hand punches the holes and then hand sews all of them. Quite the feat for a woman who has 3yr old twins and a 2 yr old at home. Kristie is thinking about making baby summer thongs as her next shoe project. Guess we'll find out how she went at the two Christmas Olive Tree market's happening this December. David runs Feedback Organic Recovery. David will plant you an herb garden right on the spot. His price includes the soil, plants, planting and planters. He converts waste from Hunter Valley restaurants into the compost he uses, and his planters are made from reclaimed wood from Dad's old farm fence posts. David's project came from a desire to diversify his farm, where he runs a beef cattle company. 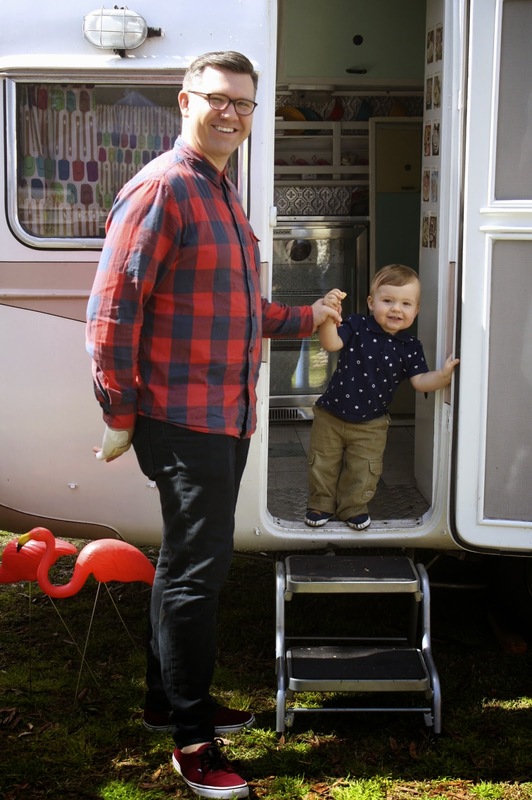 I love the idea of making the old new again, and he has found a way to do this two fold. The best part of Saturday's market was getting to know the history of some of these OTM stall holders, and their passion and heart for what they do. 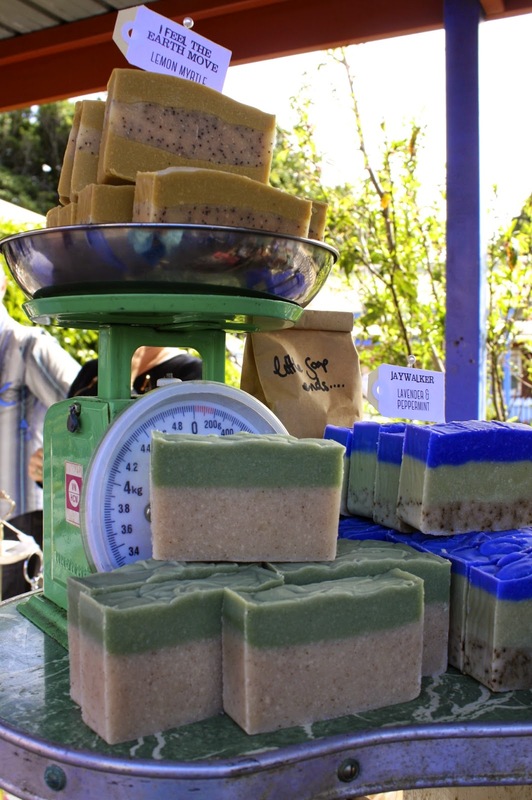 The next Olive Tree Market is on October 4th, and there will be 2 markets each in November and December as well. Hush Rumble Textiles & Design and Oscar and Matilda Jewellery have teamed up to do a giveaway for the next Olive Tree Market. 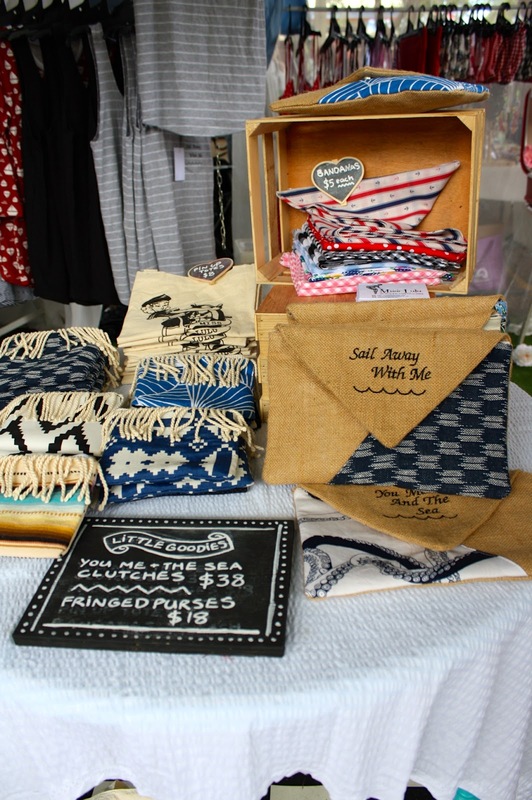 Two lucky PKM readers will be walking away from the next market with either a hand printed cushion from Hush Rumble (valued at $25), or 3 pairs of hand crafted earrings from Oscar and Matilda's three for $25 range. Step 3: and leave a comment on this post telling us which giveaway you'd like to win - The hand printed cushion from Hush Rumble OR the hand crafted earrings from Oscar and Matilda. * Comments will be judged on their creativity so keep this in mind when you enter; this is a game of skill! * Please read full terms & conditions listed in the rafflecopter. * Full Disclosure: This post is sponsored by The Olive Tree Market, but all opinions are my own. 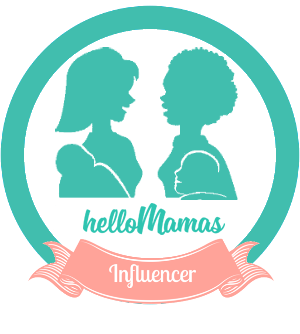 THE WINNERS ARE Katie B for the Oscar and Matilda Earrings AND Siann E for the Hush Rumble Cushion! 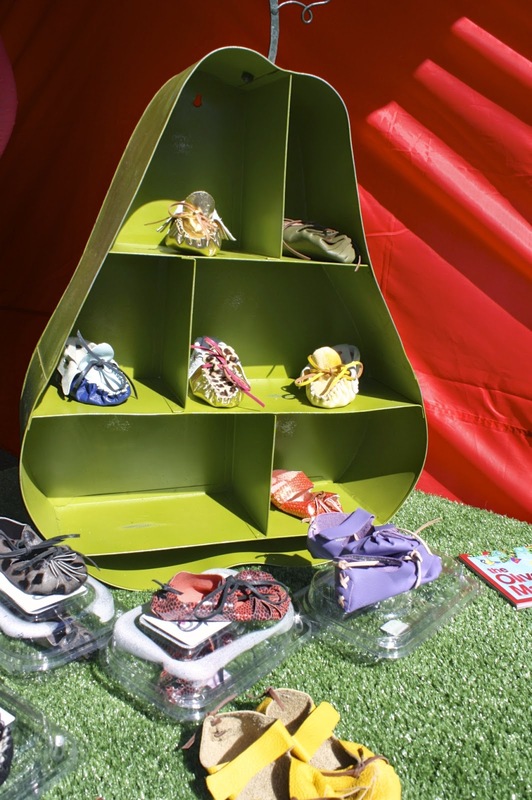 CONGRATULATIONS LADIES, and see you on October the 4th at the next Olive Tree Markets to collect your prizes! Thank you to everyone who participated and commented! The Judge for this competition was Kate from Hush Rumble (who knows none of the contenders). Oh I wish we had a market like this near us. So many of the markets now have turned into places to sell clothes sourced from overseas and there is hardly any hand made stuff. What amazing markets! You make me want to go and stroll through them, and I'm not really a market person. Whoa, good point @TeganMC It so easy to take wonderful things for granted where you live, and you visit or move elsewhere or have another blogger tell you how good you have it! haha! Looks like an awesome market. I love that everything is handcrafted. I would have been there all day. 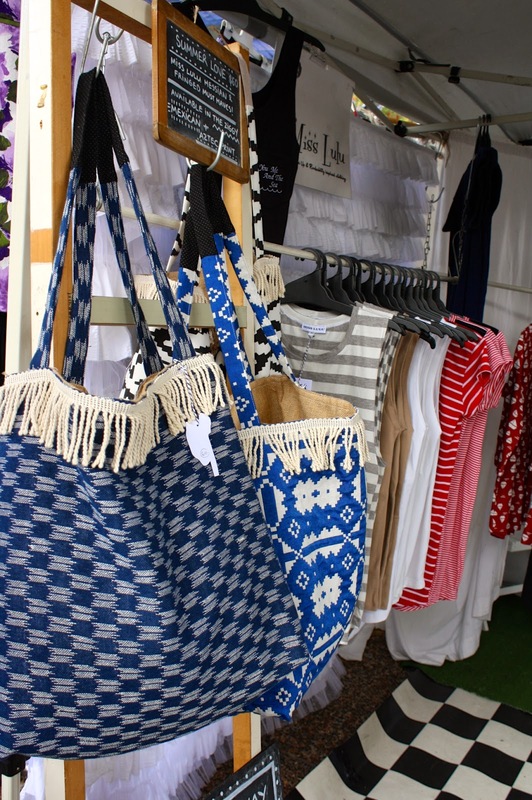 I really enjoyed reading the stories behind the stall holders. It looks like a beautiful market, if only we lived closer to Newcastle! Those Macarons look AMAZING!! @Peta Wood The cheesecake was amazing!!! Thanks for taking the time to read the stories Lauren. I know the photos make it a very long post. Her macaroons are amazing. We had them a different time. She's gifted! It's such a special treat to be in that environment, surrounded by so many creative heads. Wish I could make something :) I guess that's kinda what I do with blogging? They're worth it!!! 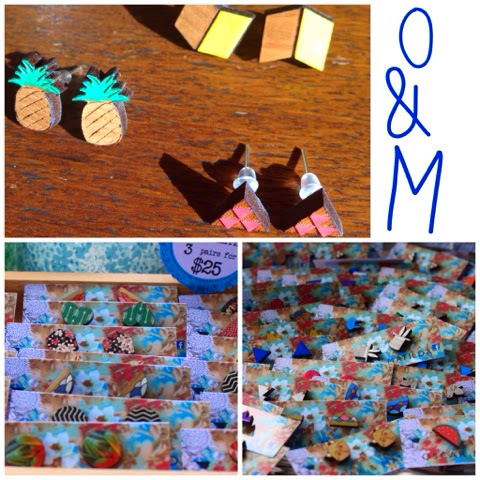 Check out their FB page @Shannon @ Oh Creative Day she has heaps of lovely photos of treats! @The Plumbette I am always hungry when I go to that market. Sometimes I think I should avoid it or go with a full belly! I have been really slack about checking out these markets. I particularly love oscar and Matilda's range. I had a pair of their earrings that I ran over with my lawn mower after falling asleep in the grass one spring. It was quiet depressing. Oh my goodness Katie! Zoe will have a giggle at this story, and feel sad for you! She's the lovely creator of O&M! Good luck! I'm not from Newcastle but these pics make me think it's worth the trip! *drooool* the food loves amazeballs! @Lisa Vile Funny you say sweet tooth because you could also get a tooth pillow with that. 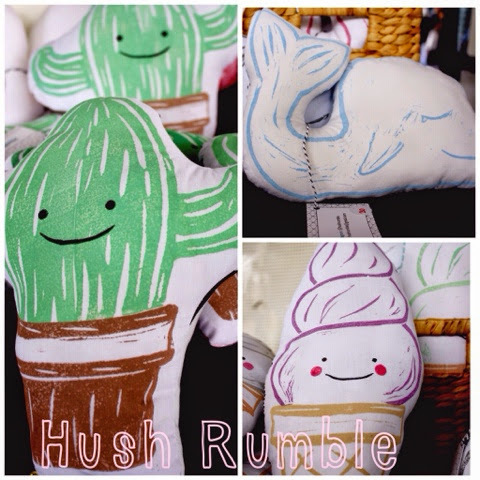 Hush Rumble do really cute tooth pillows. I want one! 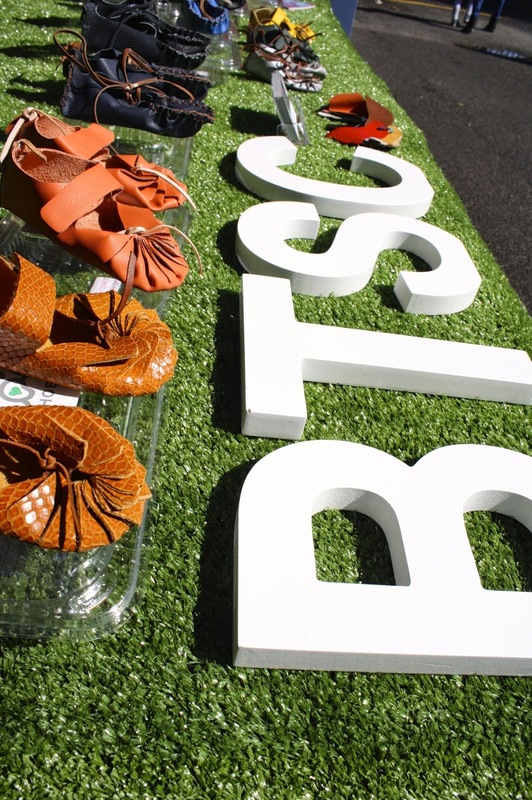 I love markets - such a great sense of community and this blog post really portrays that. Chocolate and Poppyseed soap!!! How awesome is that?? I would love a hush rumble cushion - I got my friend a fluffy cloud one for her baby shower & now I have cushion envy!! I love the OTM - hands down the best in Newcastle. But I always forget that they are on! I also get a touch nostalgic, given that they are held in my old primary school. Terrific post, I'll be getting my behind down there in October - might have to show my boys where Mumma went to school! If I was lucky enough to win I think I'd choose a cushion - so adorable! My biggest boy T is currently obsessed with all things whale and the Hush Rumble cushion would definitely be more comfortable than the plastic figurine he is currently sleeping with! Oh how I love these markets! I have bought many lovely necklaces from one of the stalls, along with a lot of Turkish gozleme. Yum! I would like one of the cushions so I can enjoy an icecream cone, without the calories!